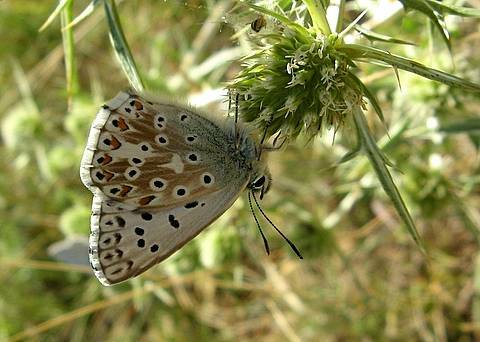 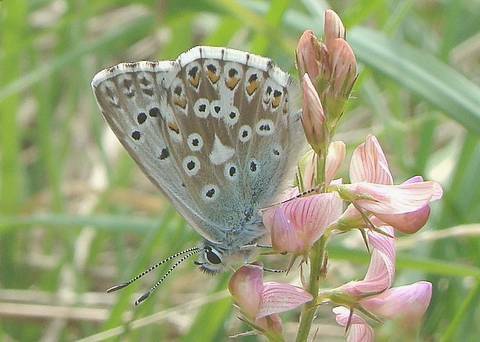 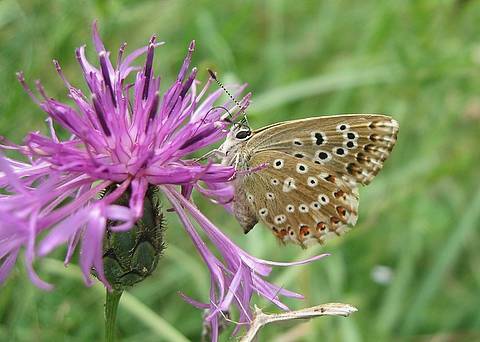 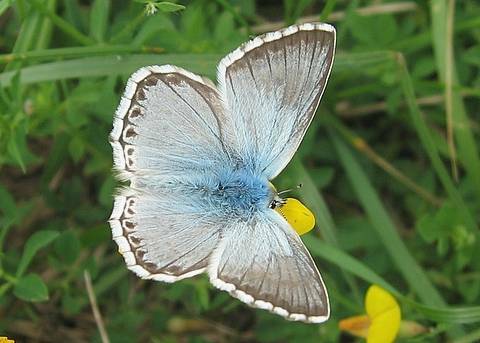 Chalk-hill Blue is quite a widespread species through central Europe though always localised to calcareous grassland where its larval food plant, Hippocrepis comosa, grows. 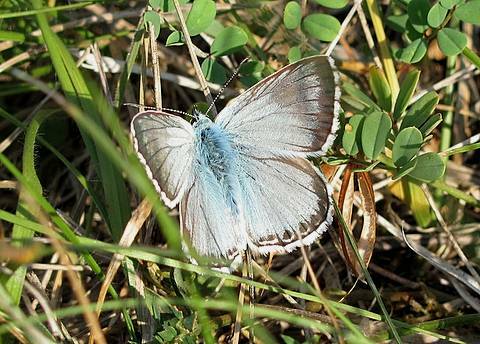 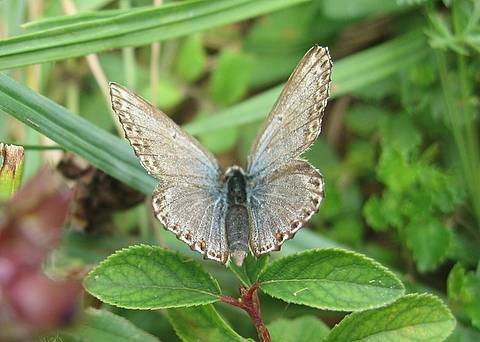 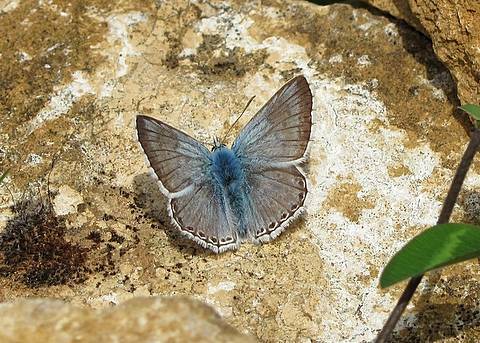 The males are a pale blue on the upperside with chequered fringes. 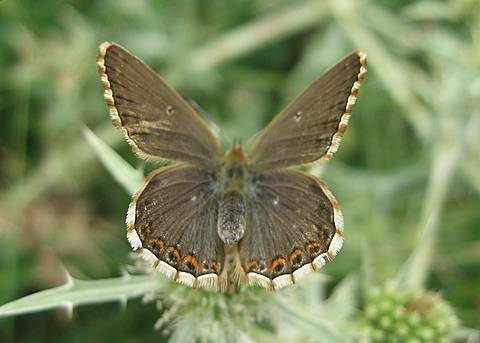 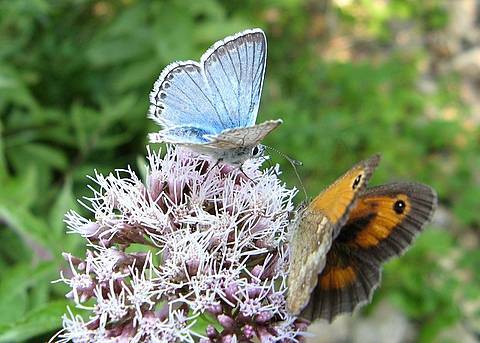 The females are brown on the upperside, or blue (form syngrapha), with orange lunules usually limited to the hindwings. 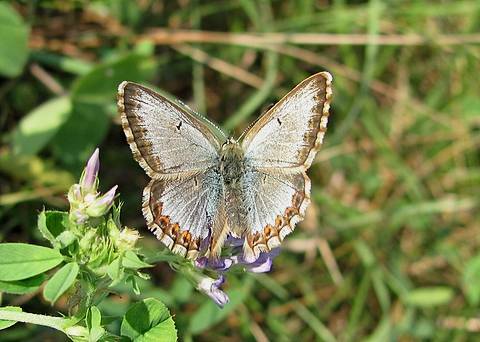 The species is fairly late to emerge with adults flying mostly in July and August. 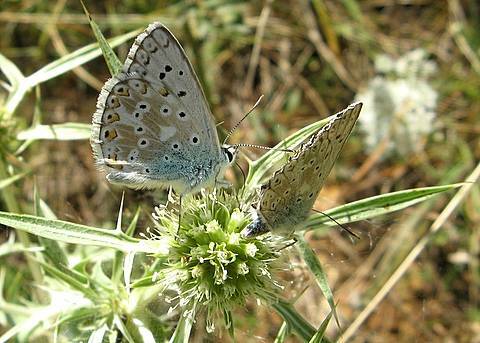 In south-east France great care must be taken not to confuse with the very similar Provence Chalk-hill Blue (Lysandra hispana), although that species can itself be confirmed by the presence of a first brood in the spring.......it's only in its second brood when the confusion arises with L.coridon.